Today, Microsoft announced that Facebook, Flipboard, and NFL Fantasy Football would all soon have official apps. That may not be an earth-shaking revelation, but it's a sign that some big names are ready to step up and give Windows 8 the old Metro try. It's no secret that Microsoft has had trouble getting big developers on board to build Windows 8 apps. That's why Twitter's Windows 8 and RT apps were a big deal when they dropped a few months ago. What's especially surprising about the Facebook move is that just last year Mark Zuckerberg stated in unequivocal terms that Facebook would not develop for Windows 8, and that those interested in Windows 8 should go talk to Microsoft. Ouch. Winning Zuck & Co. over was far from an inevitability. Windows 8 launched last year with a lot of potential and we've seen strong adoption among Facebook users. We are looking forward to digging in and building a great Facebook app experience for it, beginning with tablets. Flipboard only exists for mobile, so it didn't bother differentiating between desktop and tablet in its official blog post about the app. 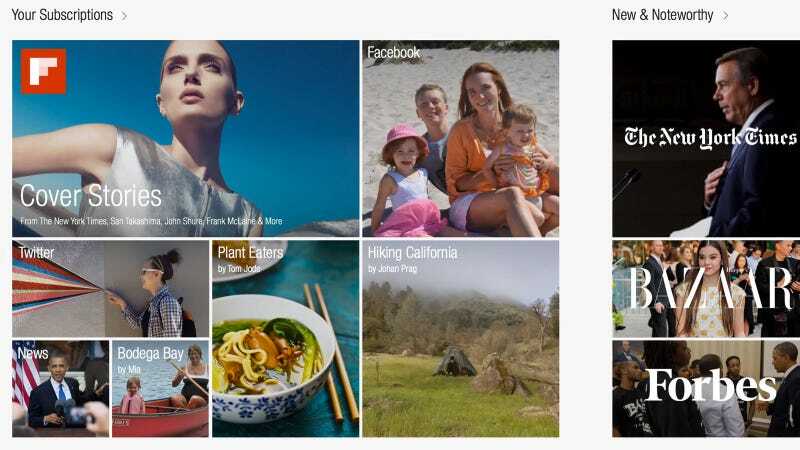 Details were scant, but we were told that the app will definitely launch this year, and we saw an 8-second prototype of a Flipboard live tile live-flipping through stories, just as you'd image in it. Microsoft is right to drum up publicity for these new partnerships even if they only represent promises for apps that don't really exist yet. That bunches of major devs across use cases haven't jumped on-board Windows 8 yet means we haven't really tested the OS as it was designed. Facecbook and Flipboard are sure signs that the situation is improving. Windows 8's hybrid tiled interface was a huge gamble, but all we really know about it so far is that it's pretty to look at. The more developers that buy in, the more we'll be able to see what it actually has to offer.